This is part three of a three part investigation of the properties of LASER light from other light. Part 1: Monochromatic Light and Part 2: Collimated Light. 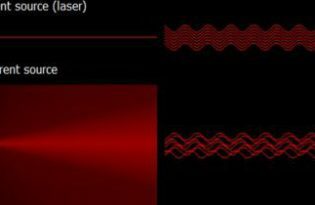 In this part, we’ll demonstrate that LASER light is coherent by comparing the interference pattern of a red LASER pointer to that of an LED light.